First of all, let's look at the application software definition to see what is basic application software. Application software or "App", is software that is designed to help the user complete a specific task on a computer. This is my version of the application software definition. There might be some other higher learning websites that has a longer definition with more complicated words. You bought a PC, you installed an operating system on it. Now what? The "now what?" part, is the application. Simple as that. An Application is basically a program that's been written in some programming language for you to complete a specific task on your computer. This might be a word processing application such as Microsoft Word or a suite of programs such as Microsoft Office. Microsoft word could be seen as a single application, whereas Office might be seen as an application suite or a bunch of programs that you will use to complete a task. It all depends on what you want to do with your PC. Basic application software is different from operating system software in that the OS runs on the bare metal system and is responsible for the proper operation of the PC. Some people even argue that a programming language such as Java or C++ is not an app, but a software programming language. You use a programming language to create an application with so, it basically can also be defined as an app. Although it's not really an app. You do use it to create an app. Never mind, you get the idea, I hope. To simplify the above. Basic application software can be divided into two categories, system software and application software. 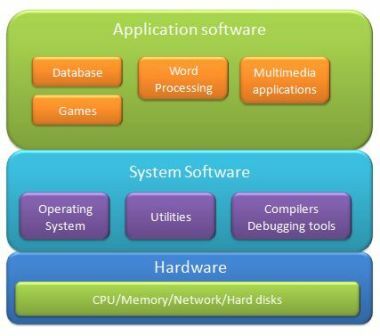 System software consists of the operating system, compilers and utilities that manage the resources of a computer. Basic application software runs on top of the operating system and includes programs like databases, word processors, multimedia programs etc. Below is a diagram to illustrate this. There are literally thousands of app's available. Some are free some you have to pay for. Some are for large system like servers and mainframes and some are for small systems like PC's and laptops. It all depends on what you want to use your PC or computer for. Let's you want to setup a budget for the household. You would then look at a spreadsheet program or application like Microsoft Excel or the freeware OpenOffice Calc. These applications allows you to crunch numbers in a tabular format. Tomorrow you might want to write a formal letter or setup a CV. You would then use something like Microsoft Word or the freeware OpenOffice Writer application. Below is a screenshot of Microsoft Word. The day after that you want to create a presentation. You could then use Microsoft's Powerpoint or OpenOffice Draw. With these applications you can create drawings, diagrams and put this in a presentation. All of these, and more, are also bundled together in a suite called, Office or OpenOffice. In big corporate environments you will definitely look at complicated and expensive applications such as databases and middle ware. Oracle is a company that specializes in this kind of software or applications. There are other companies such as Sybase and Informix that also create these database applications. These companies also create applications that interfaces to the database. These applications are called middleware. For example, you might have a web form where you enter information to extract some information from a database. This interface between the web form and database is called, middleware. It's in the middle of the app and the database. There are also other companies that create complicated software to manage a business and just interfaces to the database to save information. This software is especially designed to run a business. An example of this is SAP software. Now that we have an understanding of what basic applications software is, let's look at some other examples. These days there are a host of applications for mobile phones, especially the iPhone and android phones. There are thousands of apps for mobile devices. They range from free apps to paid for apps. 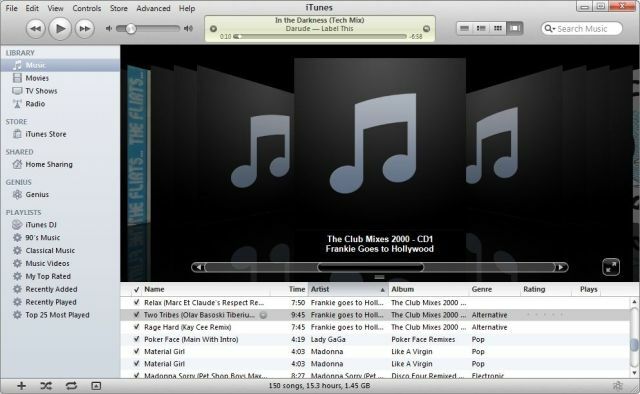 The iTunes application from Apple might be one of the most well known applications out there. It runs on just about anything out there. It's one of the better music and movies players and organizing apps available. There's no way that I can list all the iPhone apps available. Do a search if you are interested in these apps. Android is also a very popular OS for mobile devices. HTC decided to run their mobile devices with Android. Samsung also runs Android on their new galaxy s2. This popular OS also comes with a host of basic application software. You can also download thousands of apps from all over the internet. Basic application software also ships with the operating system. For example, Windows 7 comes with lots of applications that you can use after installation. You can access most of them when you click on "Start", "All Programs" and "Accessories". 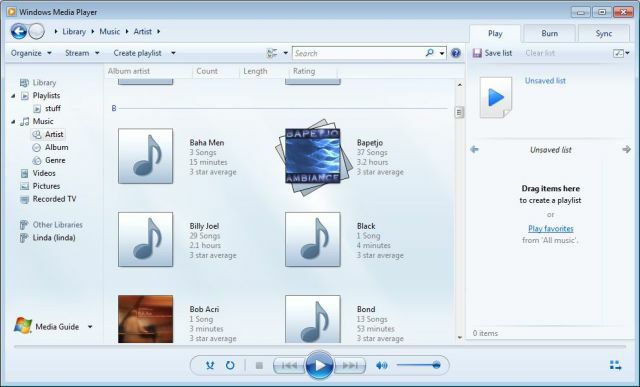 For example, Windows 7 comes with a media player which is quite good. Some argue that it's not as good as iTunes but, it does the job. Earlier in the page we also talked about Microsoft Office and Open Office suite of applications. 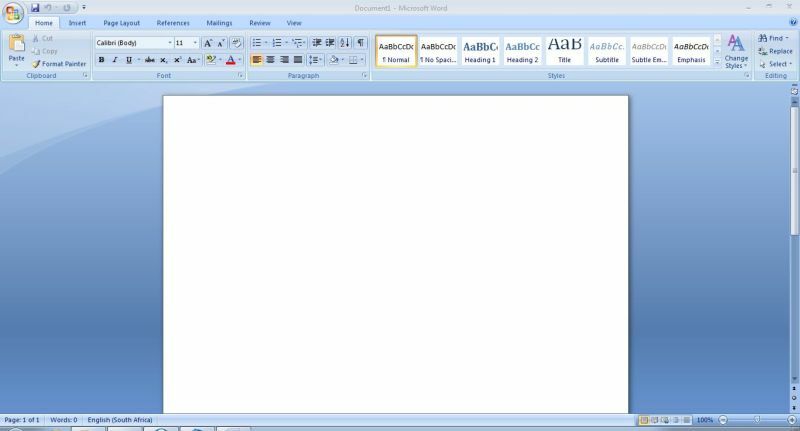 Windows also has a built in word processor called, "Word Pad". You can do some basic stuff with it, but using a professional tool such as Microsoft Office or Open Office might be a better choice. It all depends on what you want to do at the end of the day. Open Office is freeware and you can download and use it. It's not too bad but in my view it's not as polished as Microsoft Office. You pay for MS Office so again, you must choose what is best for you. There are so many different types of application software out there, that it's difficult to list them all here. I hope I have given you some insight into what basic application software is and what you can use it for. Below there are links to more specific uses of application software. One application that is quite common is, Databases. See some examples of databases and how they work.